The Confederation of African Football on Tuesday selected Egypt as the host country for the 32nd Africa Cup of Nations holding 15th June – 13th July this year. 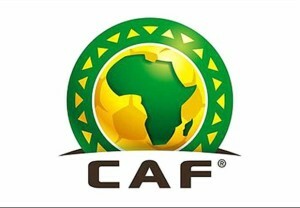 After its meeting at the Terrou-Bi Hotel in Dakar, CAF announced that Egypt had been voted as the first host of a 24- nation AFCON, for which Nigeria has already qualified with a match to spare in the qualification series. Egypt got 16 votes, with only one for South Africa, the other candidate. Egypt hosted the AFCON in 1959, and also in 1986 and 2006. The country won the 1986 Final against Cameroon after penalty shoot –out, and also won the 2006 Final on penalties against Cote d’Ivoire. Nigeria was absent from the 1959 and 1986 finals, but the country starred at the 2006 finals, defeating Ghana, Zimbabwe and Senegal in the group phase in Port Said, before eliminating Cup holders Tunisia after penalty shootout in the quarter finals also in Port Said. The Eagles lost by a lone goal to Cote d’Ivoire in their semi final in Alexandria but overcame Senegal by the same margin in Cairo to take the bronze medals.